Nicaragua does not regulate and restrict the use of firearms by law enforcement officials as international law requires. Police use of a firearm is only permissible where necessary to confront an imminent threat of death or serious injury or a grave and proximate threat to life. All persons shall have the right to have their physical, psychological and moral integrity respected. No one shall be subjected to torture, procedures, punishments, or inhumane, cruel or degrading treatment. Violation of this right constitutes a crime and shall be punished by law. The right to public assembly, demonstration and mobilization in conformity with the law is recognized. The Constitution does not specifically regulate use of force by the police. Article 94 provides that "everything relating to the operational development" of the police "shall be regulated by the law". The human being is the center and raison d'etre of police activity, therefore it is a transversal element in our police model, the deep respect for the human being and his dignity; the protection and defense of their inalienable rights, their life, security, freedom and other guarantees enshrined in the Political Constitution and especially the defence and protection of the rights of women, children and adolescents. Make use of only the necessary force to avoid serious, immediate and irreparable damage, governed by the principles of congruence, timeliness and proportionality in the use of available means. Article 177 of the Regulation of the 2014 Law further provides that: "The use of force shall be limited to that which is strictly necessary to carry out legitimate objectives." c) To perform actions capable of dislocating joints or cause bone fracture of the subject. Firearms will only be used when there is a rationally serious risk to their life, their physical integrity or that of third parties; or for the purpose of avoiding the commission of a particularly serious crime that entails a serious threat to life, or for the purpose of arresting a person who represents that danger, who opposes resistance to the authority, and only in the event that they are insufficient less extreme measures to achieve these objectives; or in those circumstances that may pose a serious risk to public order. 2. The defense of their life and personal integrity. b) Against a person in flight, only when there is full knowledge that the subject is armed or has demonstrated through his acts, such a danger, that if his escape is not prevented, an immediate danger to life and bodily integrity is created of the Police and that of the other members of the community. c) By superior order duly communicated, in defense of the security of the community, in case of classification in case of serious disturbance of public order and during situations involving the taking of hostages or acts of terrorism, provided that the order given is not arbitrary. These provisions are more permissive than international law allows. Police use of a firearm is only permissible where necessary to confront an imminent threat of death or serious injury or a grave and proximate threat to life. There is no dedicated independent, civilian police oversight body, but the Office of the Human Rights Advocate (Procuraduría para la Defensa de los Derechos Humanos) can investigate complaints of unlawful police use of force. Nicaragua has not come before the Human Rights Committee or the Committee against Torture in recent years. 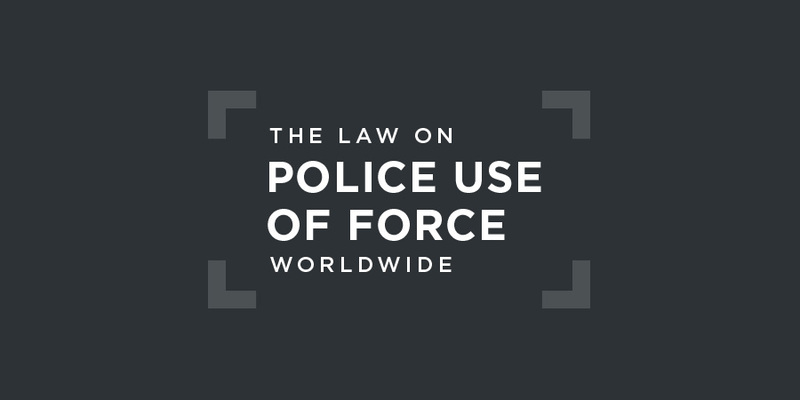 In 2014, in the most recent Universal Periodic Review of Nicaragua under the United Nations Human Rights Council, a number of states raised concerns about unlawful use of force by the police. A civil society coalition stated that, in 2012, the police force was the authority most frequently accused of human rights violations. However, of the 3,231 police officers reported in 2012, only 530 were disciplined administratively and only 37 cases were referred to the judicial authority. The outcome of these cases is not known. In June 2018, the Inter-American Commission on Human Rights (IACHR) submitted to the Permanent Council of the Organization of American States (OAS) its report “Serious human rights violations in the context of social protests in Nicaragua.” The report, which is based on IACHR mission to the country in May 2018 and through subsequent monitoring addresses the violence that has surrounded the protests that broke out on 18 April 2018. According to figures collected by the IACHR, the State’s repressive actions had left at least 212 people dead by June 19, 1,337 people injured and 507 people deprived of their freedom by June 6, as well as hundreds of people at risk after being victims of attacks, harassment, threats and other forms of intimidation. It followed a common pattern, marked by the excessive and arbitrary use of the police force, which included the deliberate, systematic use of lethal force; the use of parapolice groups with the acquiescence and tolerance of State authorities; obstacles to hinder access to emergency medical assistance for the injured, as a form of retaliation for their involvement in demonstrations; a pattern of arbitrary and unlawful detentions of young people and adolescents who were peacefully taking part in protests and passers-by who were in the areas where incidents took place; the use of cruel, inhuman and degrading treatment against most of those who were detained, which in some cases crossed the torture threshold; the use propaganda and stigmatization campaigns, and of direct and indirect forms of censorship; intimidation and threats against social movement leaders; and lack of due diligence to launch investigations into the murders and injuries that happened in this context. The Nicaraguan government’s repressive response to the protests has led to a serious human rights crisis. The Commission concludes that the State of Nicaragua has violated the rights to life, personal integrity, health, personal liberty, assembly, freedom of expression and access to justice. The Commission is particularly concerned about the murders, likely extrajudicial executions, mistreatment, likely acts of torture and arbitrary detentions perpetrated against the country’s mostly young population. Further, the IACHR expresses its concern over the violation of the right to health and over the denial of medical attention, the retaliation against public officials who refrain from fulfilling orders that violate human rights, the acts of censorship and harassment against human rights defenders and the irregularities in launching investigations into the murders and injuries perpetrated in that context, along with other serious events the Commission has verified. It is demonstrators—including students who sought refuge in university premises, people who held the so-called tranques (road blocks) in different parts of the country, human rights defenders, journalists, victims and church officials—who are worst affected by various forms of repression. which qualifies public protest demonstrations as illegal for the sole reason that they have produced specific violent acts and holds those who have called and organized them legally responsible. In this sense, the IACHR and its Special Rapporteur for Freedom of Expression (RELE) expressed their extreme concern about the position of the Nicaraguan National Police, which declares the protest demonstrations illegal and holds its conveners criminally responsible.